Come for a fun night of dessert, coffee, hot cocoa, bingo & prizes! 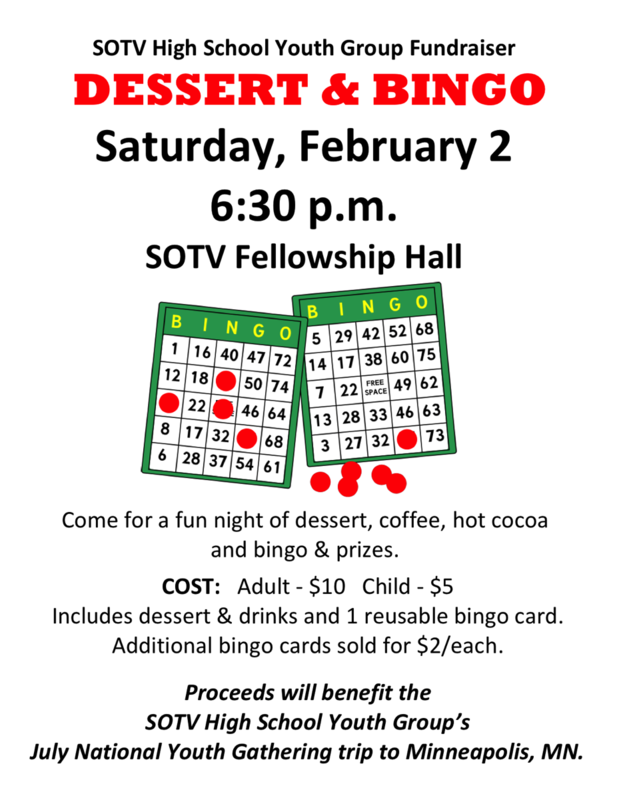 Cost: Adults $10, Children $5 – Includes dessert & drinks and 1 reusable bingo card for the night. Additional bingo cards sold for $2 ea. Proceeds benefit the SOTV Youth Group’s National Youth Gathering trip to Minneapolis MN this summer.